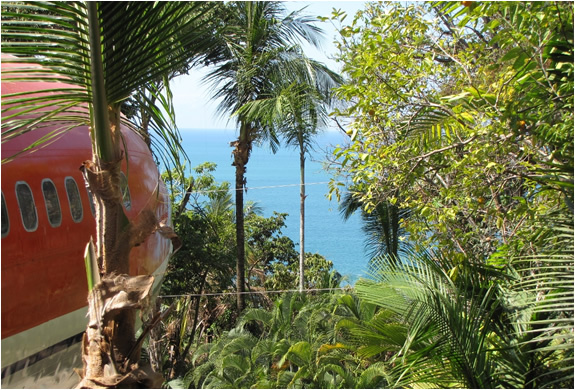 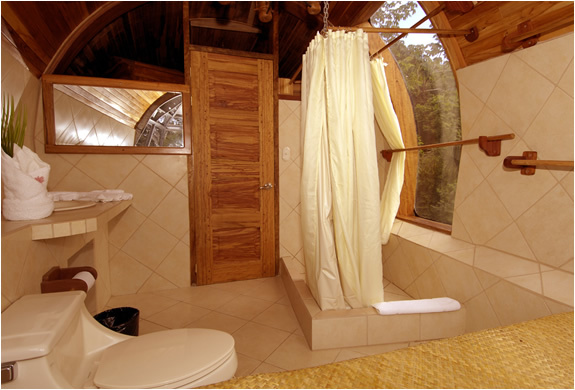 Located in the jungles of Manuel Antonio in Costa Rica, this crazy project from costa verde designers features 2 bedrooms, tv area, kitchentte Dinning Foyer, Master Bath,and a Wing Balcony. 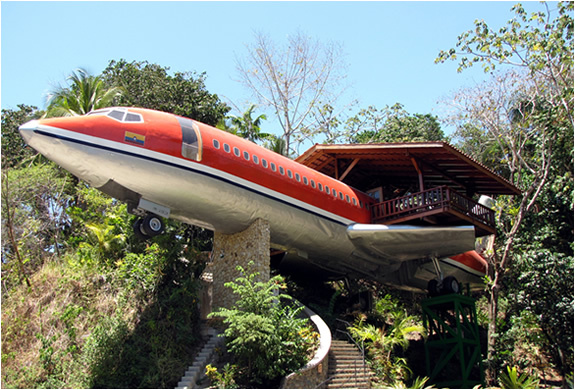 This classic airplane, nestled on the edge of the National Park, is perched on a 50-foot pedestal. 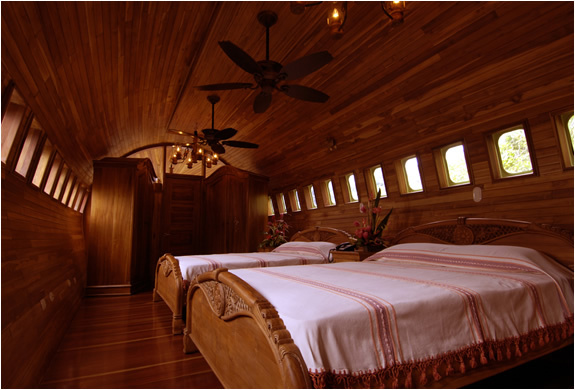 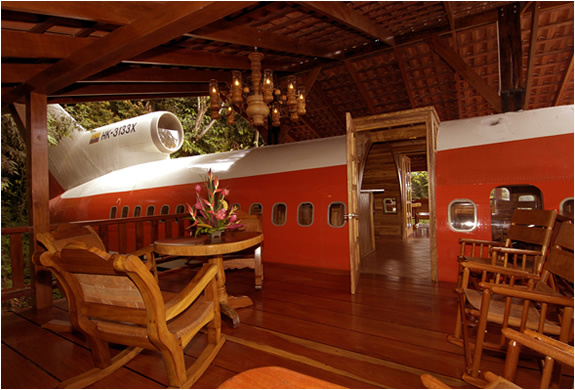 At this height, you will enjoy scenic ocean and jungle views from the hard wood deck built atop the planes former right wing.